Collingwood is a fairly large, east Vancouver neighbourhood the borders Renfrew Heights and the city district of Burnaby, with East 29th Avenue to the north, Nanaimo Street to the west, East 41st Avenue to the south and Boundary Road to the east. As one of the earliest communities developed in Vancouver, Collingwood is rich in history and culturally diverse, which is reflected in the businesses in the area along with a few remaining heritage homes. Sitting on just over 4 km of residential and commercial land, Collingwood is a thriving part of Vancouver’s culture and has grown year after year in population size, as well as the uprising of residences too. With easy access to public transit and main throughways surrounding Collingwood, getting into Vancouver or out to other outlying communities is a convenience this community comes stock with. In addition, shopping at Metrotown – one of the biggest malls in Canada, is in close proximity to the area, as are schools, various ethnic and western cuisines, all of which come together to make the far-flung Vancouver neighbourhood of Collingwood, an excellent real estate investment opportunity. Collingwood was mainly a barren landscape until Colonel Richard Moody showed up in 1861, constructing a military route that extended through a First Nations parcel of land, all the way to English Bay to the west and New Westminster to the north. Then, in 1878, George Wales settled in the area, building up the region and making it an accessible community for those looking to call Collingwood home. Since this time, well over a century ago, Collingwood has become a thriving region of Vancouver, with the vast majority of construction being new developments including: high-rises, townhouses and single-family homes – built up from the late 90s straight through until present day. Considered a more affordable region in which to invest in real estate in Vancouver, Collingwood is a chosen marketplace for first-time homebuyers, families and single professionals alike. If you are looking to invest in your own piece of property in Vancouver, allow me to show you around the easily accessible neighbourhood of Collingwood, and help you uncover if this is where you want to create some history of your own! Street to the west, East 41st Avenue to the south and Boundary Road to the east. 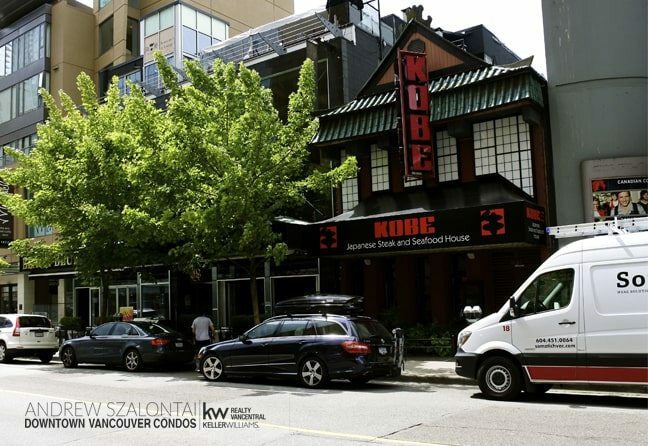 As one of the earliest communities developed in Vancouver, Collingwood is rich in history and culturally diverse, which is reflected in the businesses in the area along with a few remaining heritage homes.. Sitting on just over 4 km of residential and commercial land, Collingwood is a thriving part of Vancouver’s culture and has grown year after year in population size, as well as the uprising of residences too. With easy access to public transit and main throughways surrounding Collingwood, getting into Vancouver or out to other outlying communities is a convenience this community comes stock with. Collingwood was mainly a barren landscape until Colonel Richard Moody showed up in 1861, constructing a military route that extended through a First Nations parcel of land, all the way to English Bay to the west and New Westminster to the north. Then, in 1878, George Wales settled in the area, building up the region and making it an accessible community for those looking to call Collingwood home. Since this time, well over a century ago, Collingwood has become a thriving region of Vancouver, with the vast majority of construction being new developments including: high-rises, townhouses and single-family homes – built up from the late 90s straight through until present day. Considered a more affordable region in which to invest in real estate in Vancouver, Collingwood is a chosen marketplace for first-time homebuyers, families and single professionals alike. If you are looking to invest in your own piece of property in Vancouver, allow me to show you around the easily accessible neighbourhood of Collingwood, and help you uncover if this is where you want to create some history of your own!. The Downtown communities of Vancouver all offer their own appeal, and each is brimming with residential buying options for locals and foreigners alike to enjoy. Whether you prefer to live in the prestigious neighbourhood of Yaletown or Coal Harbour, desire to be tucked away alongside Stanley Park or within the Burrard Inlet, join the West End party or play amidst the Beach District, or perhaps history is more your scene which can be found within Gastown or Chinatown, or enjoy the sights of newly developed Crosstown or False Creek – all these locations are beautiful residential hubs within Vancouver, just waiting for you to call them home! Whether one is looking for top of the line finishes, breathtaking views, or a move-in ready presence, Alberni Street living is ready for entertaining on a whim. So if you’re looking to spice up your Friday night and price is no object, wow your significant other by making a pit stop at the Canadian diamond shop known as De Beers, then head over for dinner at Kobe Steakhouse, followed by drinks at the luxurious lounge within Shangri-La..
Bursting with business professionals, tourists, and high-end condo owners, the streets are endlessly alive with the smell of money, and the condos in this area providing understated-charisma fit for a king …or queen …or princess for that matter! 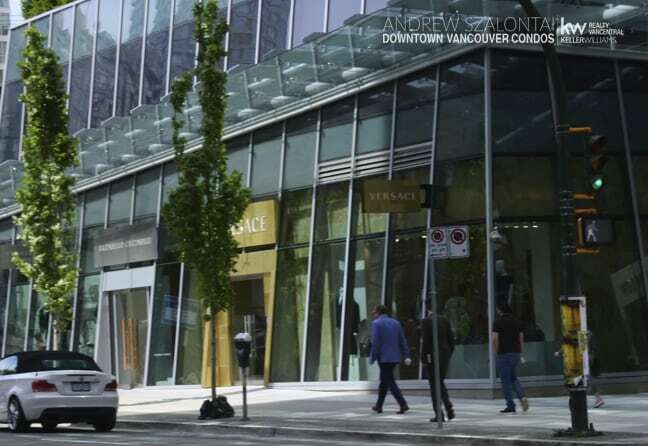 Some would argue that referring to Vancouver’s Alberni Street as “upscale” might be downplaying the actual high crust caliber of this community, as the shops and dining destinations this district is infused with are fairly exclusively frequented by the upper echelon of Vancouver’s elite. Clearly, there is no end to the bragging rights of Arbutus houses, so if you are looking for a home in the westside of Vancouver – considering this location is well worth your time. Allow me to take you on a tour, and show you why I am so proud to call this community home!